"Overcoming The Fear Within – A Guide to Freedom Through God's Word" combines the author's personal testimony, biblical truths and medical insight to address the spirit, mind, body connection. It examines various fears and their impact on faith, the way we think and the resulting diseases fear brings to the body. The reader will gain understanding and hope to be delivered from the fear, stress and anxiety that produces disease and steals the spiritual fruit from the Body of Christ. 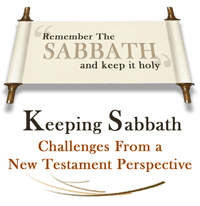 Read this weeks Torah Study. Download Full-Length .mp3 Teachings from Gateway to Freedom Ministries. Learn how that throughout man's history he has lost God-given truths & revelations. A MUST READ! For The Love Of His Bride is a wonderful love story explaining how a Holy God can divorce an unfaithful wife and then remarry her while yet being faithful to His character/laws. It is the mystery of all ages simply revealed. Welcome to Gateway To Freedoms Ministries’ website. We trust your visit with us will edify you in the Word and your faith. We have tried to make the teachings, prophecies and booklets easy to view, print, listen to and download yourself. It is our desire to freely give forth the word(s) that the Lord has shared with us. To that end we have made available PDF booklets and audio files you may download. * Feel free to reproduce these materials, but we would ask that you do so in its entirety so that there are no errant quotations. If you want to quote parts for publication, please request permission stating the purpose, publication and content you wish to reproduce. Yom Kippur, the Day of Atonement, is considered the holiest and most awesome day by both the Messianic Hebraic faith and traditional Judaism. However, both traditional Judaism and Christendom has so distorted the teachings of YHVH so as to negate the substance behind the commandment to observe this most holy Feast of the Lord. Instead of following our traditional line by line study of the Torah passages, today I'd like to use an expository format in order to illuminate the subject matter more fully. The Lord's feast of Atonement, called Yom Kippur by the Jews, has been twisted into a doctrine by the Jewish rabbis and mostly ignored by the Christian church. By doing so, both parties have twisted G_d's plan of salvation into to man's plan of salvation and led many astray. The Day of Atonement is considered the holiest and most awesome day of both the Messianic Hebraic faith and traditional Judaism. It is preceded by Trumpets and the ten days of awe - a time of serious introspection and prayers of repentance. It is always celebrated on the 10th day of Tishrei, the seventh month. On this day, Jews of all backgrounds and beliefs attend the local synagogue, to ask Yahweh for forgiveness for sins committed during the past calendar year. Traditional Jews believe that this is the day when Yahweh determines once and for all who will live and who will die in the upcoming year. Traditional Jews remain in the synagogue most if not all of the day. In modern times, this is the day where the man made salvation formula is invoked by Jews to appease Yahweh. This formula simply stated is good deeds, plus prayer, plus repentance = salvation, thus averting the evil decree! Thus, when the temple was destroyed, this doctrine decreed that prayer was the acceptable sacrifice instead of the blood offering! This custom is a sad, man-made substitute for biblical atonement. According to Lev. 23:26-32, Numbers 29: 7-11 and most importantly Leviticus 16, this day was the national Day of Atonement for all the children of Israel through the blood sacrifice of the bull and the goat. The blood of atonement was used to cleanse the priests, the altar, the people, the priestly garments and all the holy items of temple sacrificial worship. Leviticus 17:11 speaks of the blood of atonement as the only divine means for the atonement of the human soul. The Book of Hebrews talks much about the blood of Yeshua as the only eternal means of atonement, as well as the blood that conclusively gives us the way of removing sin forever, in the life of a believer. His blood ushered in the new and everlasting covenant between Yahweh and man. Yahweh never switched His requirements or criteria through which a man's justification can take place. A modern day traditional Jew who willfully rejects Yeshua has no means of blood atonement for his sins and is forced to buy into the spiritually bankrupt salvation system of traditional Judaism, instituted by Rabbi Yochanan Ben Zaki at the Council of Yavneh, in 70 AD. G_d prophesied and allowed the temple to be destroyed so that people would turn to the Jewish Messiah for forgiveness. But then, Rabbi ben Zaki and his contemporaries sold the Jewish people a new bill of goods along with a new formula for forgiveness instead of embracing and teaching the New Covenant of blood atonement that Yahweh foretold in the Torah. While prayer, good deeds and repentance are all very necessary, they cannot replace Yahweh's eternal requirements for a blood sacrifice as commanded by the Torah. However, lest we get condemning about the veil over the Jews that has blocked Yeshua's atonement from their eyes; let's recognize that church teachings have negated the call of the saints to righteousness, lawfulness and good works – good works as in walking in the Spirit to follow the true way as a reflection of the image of Christ and His righteousness. If we say that we have no sin, we deceive ourselves, and the truth is not in us. Our sin is ever before us (because it has not been taken away from our personalities yet). Improper teaching says Yeshua's blood covers all our sin. We've been taught that it is Jesus' righteousness, or covering, through which God doesn't see our sin because Messiah has fulfilled the legal blood substitution required by YHVH righteousness, right? But is the blood atonement really a covering or rather a blotting out of our past and confessed sins? O.T. Psa 85:2 Thou has forgiven the iniquity of thy people, thou hast covered all their sin. What is this time of refreshing that comes from the Lord referring to? Remember, that when Peter spoke these words, the Lord Yeshua had already arisen from the dead and the Ruach HaKodesh had been given to the saints at Pentecost. Yet the sins will be blotted out - when? They will be blotted out when the times of refreshing shall come from the presence of the Lord. Again, Peter was walking in the glory of his risen Savior (Acts 1:9) under the anointing of the Holy Spirit (Acts 2:4) to heal the lame man at the gate Beautiful (Acts 3:11). It is later recorded that he was used to heal those who were overshadowed by the Shekinah glory of his radiance (Acts 5:15). But he is talking about a future time of refreshing by the presence of the Lord, himself upon His return. Then shalt thou cause the trumpet of the jubilee to sound on the tenth day of the seventh month, in the day of atonement shall ye make the trumpet sound throughout all your land. (Leviticus 25:9) The trumpet of jubilee (blown of old as a foreshadow) is the time when the slaves are set free and the land (earth) is restored to its original benefactors. In the final Atonement, Yeshua will judge, reward and restore all things. Concerning the first resurrection of the believers, the scriptures say: For we must all appear before the judgment seat of Christ; that every one may receive the things done in his body, according to that he hath done, whether it be good or bad. (2 Cor 5:10) Isn't this the time, at the end, when our sins will be blotted out - in His presence, at the judgment seat of Christ? Because most of Christendom has been taught that Yeshua's blood sacrifice is the fullness of their salvation, let us summarize the differences represented by these two feasts. Understand the foreshadowing pictures that YHVH gave to our inferior minds. The true Passover was observed in Egypt as the last of the plagues to defeat the gods of Egypt. The Atonement sacrifices were not enacted until Israel went through the baptismal waters of the red sea, received the law, established the temple and separated and anointed the priesthood. As the Passover blood that protects us from the judgment of G_d as it falls on the gods of this world. As the blood of deliverance and restoration, through which the Holy Spirit of G_d is enabled to 1) remove the tendencies and repair the consequences of the sin in us, 2) to give us the strength to resist sin, and 3) to fill us with the indestructible resurrection Life of Christ so we are lifted above the realm where sin abounds. As the blood of the covenant that we drink when we receive the body and blood of Christ in the Communion service, the Lord's Table. As the blood of union with Christ so we live in Him as He lives in the Father. 1) Changing us so that this body of flesh, which strives against the Spirit of holiness within us, is changed, (1 Cor 15:51,52) Behold, I show you a mystery; We shall not all sleep, but we shall all be changed, In a moment, in the twinkling of an eye, at the last trump: for the trumpet shall sound, and the dead shall be raised incorruptible, and we shall be changed. 2) Throwing the chief sinner, (Satan) into chains for a 1000 years and his cohorts (beast, false prophet) are thrown into the lake of fire. This parallels the ceremony YHVH instituted in the wilderness tabernacle: The sins of the children of Israel were confessed by Aaron and laid on the head of a living goat (Leviticus 16:21). The scapegoat was removed from the camp, bearing away "all their iniquities to a land not inhabited" (Leviticus 16:22). 3) Bringing into submission the whole world under His kingship. (Rev 11:15) And the seventh angel sounded; and there were great voices in heaven, saying, The kingdoms of this world are become the kingdoms of our Lord, and of his Christ; and he shall reign forever and ever. 4) Receiving rewards and punishments given out at the judgment seat of Christ. (2 Cor 5:10 NIV) For we must all appear before the judgment seat of Christ, that each one may receive what is due him for the things done while in the body, whether good or bad. Understanding the Day of Atonement is vital to our understanding of G_d's salvation plan as laid out in the Feasts of the Lord. It should be the motivation for our walk of cleansing, suffering and holiness to which we've been called. Our observation of this day is a prophetic testimony of future events standing against the doctrines of man - whether traditional Judaism or Christianity. It is a statement of faith (trust) and patience toward the promises YHVH has given through the blood of Yeshua. *In Jewish thought, Scripture speaks of three trumpet blasts: the first, last and the final or great trumpet. The first trumpet sounded on Shavuot (Pentecost) at Mount Sinai (Exod 19:19), the last trumpet blast would occur on Yom Teruah (the Day of Trumpets) and the final or great trumpet blast announcing the Jubilee Year would occur on Yom Kippur as we previously read (Day of Atonement, Lev 25:9).